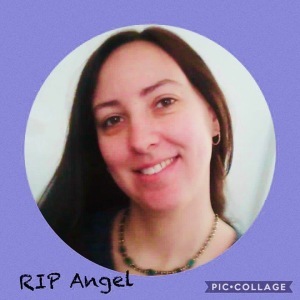 Tabitha D. Gardner – age 40 of Overland Park, KS passed away Tuesday morning, November 6th, 2018 in Kansas City, MO. She was born on August the 13th, 1978 the daughter of David A. Gardner and Diana C. Kasper in Kansas City, KS. Tabitha was a graduate of Shawnee Mission North High School. She worked as a Child Development Assistant. Tabitha was beautiful inside and out and she had an amazing personality. She loved her family and friends. Tabitha enjoyed poems, drawing, writing, nature, traveling and reading. She was very happy, always laughing and smiling. Tabitha was always there for everyone to help do what she could for others. She was preceded in death by: her father, David A. Gardner; grandfather, Bobby K. Gardner; grandfather, Richard D. Ingram; cousins that were lost so soon but always in our hearts: Adam Gardner, Kyle Nelson, Tawnya Knight and Ronnie Kasper Jr.; uncles: Glenn Gardner, Steve Ingram and Gary Kasper Sr.
Those left behind include: five beautiful children: Spencer, Jaden, Tyler, Jacob, and Hallie; mother and stepfather, Diana and Mel Theisen; dad, Michael W. Ingram; grandparents: Helen A. Gardner, Ron and Joyce Kasper, Darleen Ingram; so many other family and friends.